Lock in a great price for Crowne Plaza Hotel De Mexico – rated 8.4 by recent guests! I love the location and lots of Americans stayed in this Hotel, the pillows are amazing and great Hotel I love it!! The bed was nice. The fridge was convineante. The room service. Rooms, attention, and overall the hotel was pretty neat. 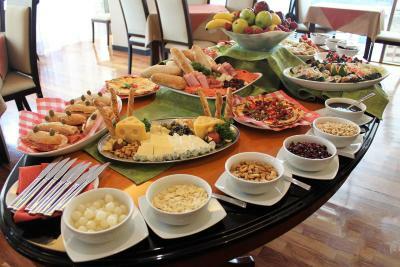 staff was very attentive and cordial, most spoke excellent English, so communication was precise without any difficulty... the group I was with had buffet-style breakfast and lunch, well-prepared. Meeting facilities were comfortable and well set-up. Evening reception was good, and several evening meals in restaurant as well as bar food was tasty an its presentation was impressive. Facility was clean, my room was immaculate and well-appointed. Luis and Victor were great waiters in the Main Restaurant. Crowne Plaza Hotel De Mexico This rating is a reflection of how the property compares to the industry standard when it comes to price, facilities and services available. It's based on a self-evaluation by the property. Use this rating to help choose your stay! Located in Mexico City’s Nápoles district, Crowne Plaza Hotel de Mexico is just 650 feet from the World Trade Center. It features a gym with a sauna, free Wi-Fi and 2 restaurants. 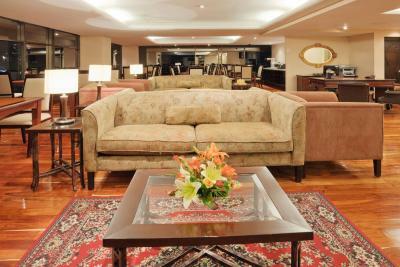 Each attractive spacious room at Crowne Plaza Hotel de Mexico has air conditioning and cable TV. 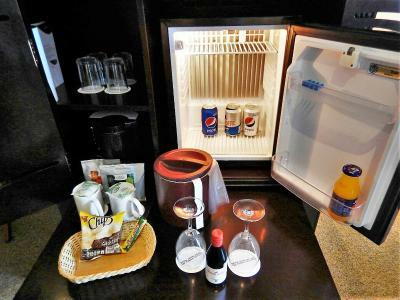 There is also a mini-bar and a coffee maker. Guests can enjoy a buffet breakfast in the Crowne Plaza’s Bistro Fusion Restaurant, while Ciao Mexico serves Italian and Mexican dishes. There is also a coffee shop and a cocktail bar. Mexico City Airport is a 15-minute drive from the hotel. There is easy access to the Avenida de los Insurgentes and Miguel Alemán Highways. When would you like to stay at Crowne Plaza Hotel De Mexico? Please note bedding and smoking preference will be allocated upon arrival, subject to availability. This room has air conditioning, free Wi-Fi, cable TV, a mini-bar and a coffee maker. Private parking is available on site (reservation is not needed) and costs USD 9 per day. 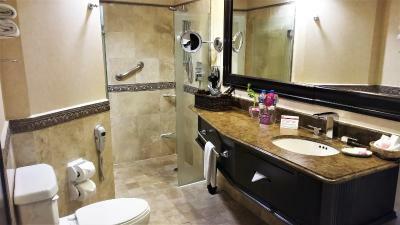 This room features free Wi-Fi and a fully equipped bathroom with a spa bath. There is air conditioning, cable TV, a mini-bar and a coffee maker. This double room features free Wi-Fi and a fully equipped bathroom with a spa bath. There is air conditioning, cable TV, a mini-bar and a coffee maker. This king room features free Wi-Fi and a fully equipped bathroom with a spa bath. There is air conditioning, cable TV, a mini-bar and a coffee maker. This room has free Wi-Fi, air conditioning, cable TV, a mini-bar and a coffee maker. This air-conditioned room features a king-size bed, a desk, free Wi-Fi and a fully equipped bathroom with a whirlpool bath. This nonsmoking junior suite features a king-size bed, a seating area, a desk and a bathroom with a whirlpool bath. This nonsmoking junior suite features 2 queen-size beds, a seating area, free Wi-Fi, a desk and a bathroom with a whirlpool bath. This nonsmoking executive room features 2 queen-size beds, free Wi-Fi, a desk and a bathroom with a whirlpool bath and bathrobes. House Rules Crowne Plaza Hotel De Mexico takes special requests – add in the next step! Crowne Plaza Hotel De Mexico accepts these cards and reserves the right to temporarily hold an amount prior to arrival. Reception staff could improve a little. The facilities are great and the staff is great and always willing to help. My room was super clean. The restaurant staff was astounding but the reception staff needs to improve. 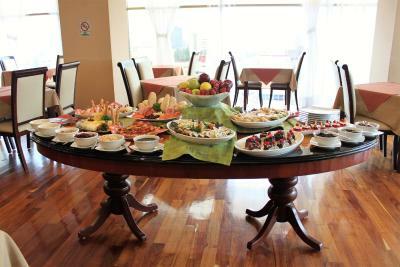 The breakfast was super, complete and tasty, it had all you'd ever want to eat plus some Mexican specialities. Right in front of the WTC and good taco places! Nothing I was very surprised about the Piano player just amazing and new singer every night for free, I know you have to buy a few drinks but the show was free, I will recommend my Wife love it too!! It is too dark ine the room. Place and breakfast were excelent! The pizza, mainly. The mattress felt firm at first. Staff should be more professional and take a better care of the customers. Good business hotel. Very good location. Perfect breakfast.